I had an awesome pregnancy. Everything was pretty textbook and avoided most of the dreaded side-effects. I didn’t have morning sickness, swollen ankles, crazy weight gain or health problems. I was able to walk and do yoga up until week 39. Heartburn and sore hips was the worst of it for me, and even that was manageable. I had the pregnancy that most women would dream of, and for that I am extremely thankful. My labor was tough, but the delivery was fairly easy (20 minutes of pushing!) And soon enough, our daughter was born. 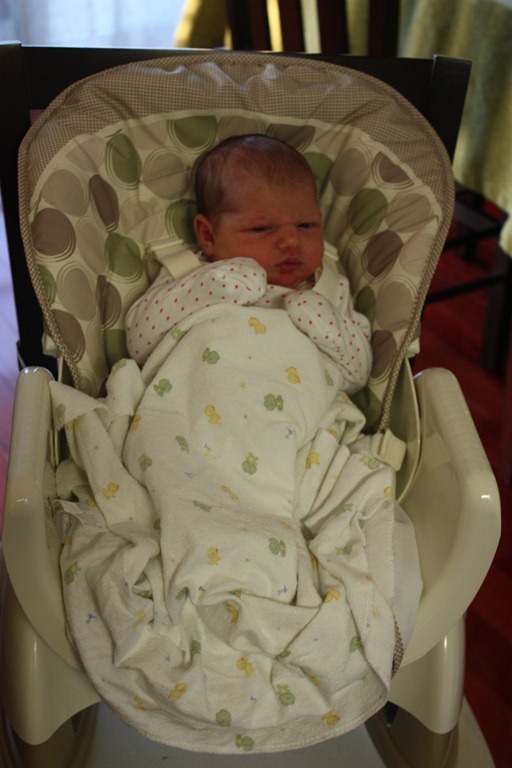 Of course I was nervous to bring a newborn home, but the part I was scared of most was post-partum depression. I did a lot of research beforehand and talked to other moms about it. Irving and I attended several classes where they pointed out the early signs of depression. He was very supportive from the beginning and was on the lookout just in case I needed some extra help emotionally. Despite all the precautions we took ahead of time to educate ourselves and try and prevent it, I still found myself completely overwhelmed and a bit sad in the beginning. (From what I hear, that part is normal and expected). But it still swept me off my feet and I found myself feeling inadequate and unprepared. Looking back with two weeks hindsight, I know I never slipped into depression (knock on wood), but I definitely had a bad case of the baby blues. 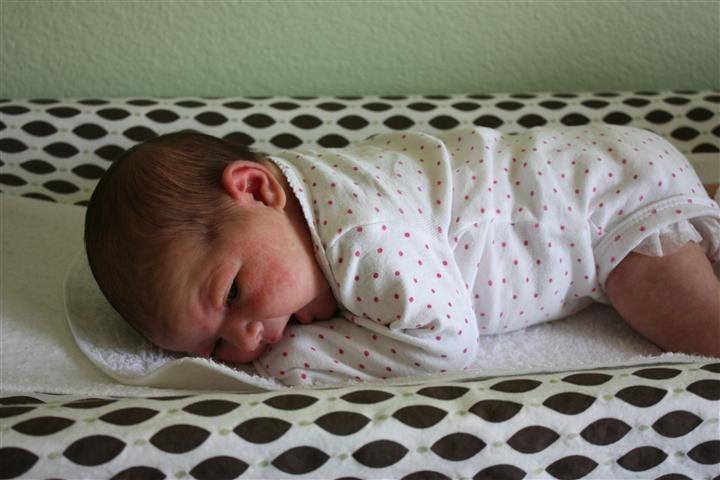 It’s been 12 days now since Adele was born and I am finally starting to feel normal again. Here are my tips based on my own experience for anyone looking for some advice. Every night around 5-6pm, I get slammed with some pretty tough nausea. I hear this is related to the hormones and may be worse due to breastfeeding. (It was at its worst the day after my milk came in). For the first four days at home, I couldn’t eat anything after 5pm or it would come back up again. Finally, I decided to combat this by going outside at 5pm every day and get some fresh air. I usually bring a snack with me since I don’t feel sick when I’m walking and at least I can get some calories in. Irving stocked our fridge full of healthy meals and snacks the day after we came home from the hospital. Having healthy grab-n-go options has been a savior, especially when I don’t feel like eating much. I’ve been craving apples, grapes and oranges lately! Filling my body with healthy, balanced foods has helped me feel better physically and mentally. It feels good knowing I’m taking care of my body and giving Adele the nutrition she needs as well. I have definitely been putting a lot of effort into taking care of myself first. Obviously the needs of my baby are priority, but I can’t do that completely if I’m not taking care of myself first. Showers are at a premium, but I really enjoy them now – more than ever before. I take the time to decompress, take a deep breath (and sometimes cry if I need to let it out). But that time is for me. I also make sure I’m dressed and fed before I change her for the day. We’ve all heard the ‘sleep when the baby sleeps’ advice, but truth is, that’s not always possible. Instead, I just try to sleep when I feel like I need it. I take naps every other day or so when I need a recharge. So far, I’m doing pretty well functioning on 6ish hours of broken sleep a night. Irving and I have a pretty great system going. We go to sleep around 9pm and I wake up to feed/change the baby at 11p, 2a and 5a. I let him sleep all night long…. except if I really can’t get Adele to go back to bed. This is working well for us because I know I can lean more on Irving throughout the day since he’s clocking 8+ hours of sleep a night. It relieves my guilt a little bit when I ask him to shop/cook/clean more than I can. The more rested he is, the more he can take care of me and the baby. We learned on Day 2 that if we were both up trying to sooth a crying baby together, it just left us both frustrated and exhausted. We try not to criticize each other and we give each other space. When Irving’s playing with the baby, I step back and do things around the house and visa versa. BUT…. even though we’re taking that approach, it is still important for us to reconnect daily as a family. We are both independent throughout the day, but we try to go on evening walks every night together to keep that family unit bond tight. This one has been HUGE for me. I am lucky to have an army of mama-friends who have been so supportive and helpful. 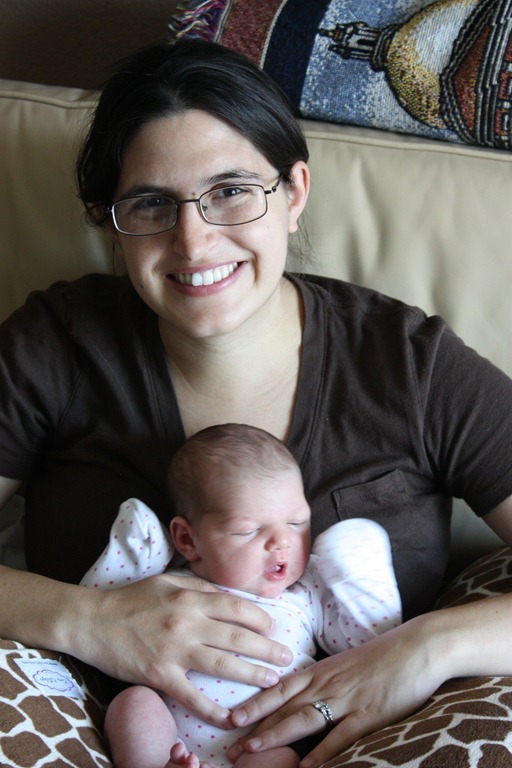 I decided to open up from the very beginning about how hard being a new mom was. This opened the door for my friends to share their stories and offer up tips and encouragement. I tried to call at least one friend a day to vent and complain and each one made me instantly feel better and more confident at the end of the conversation. Knowing that other people had the same emotions after having a baby made it easier for me to get through it. Facebook and Blogging has also been a lifesaver. I couldn’t believe how many friends came out of the woodwork to share their stories and tell me how normal it all was. I’m so thankful for social media. I seriously don’t know how moms did it before the internet. I also joined a couple of support groups at my hospital right from the start. 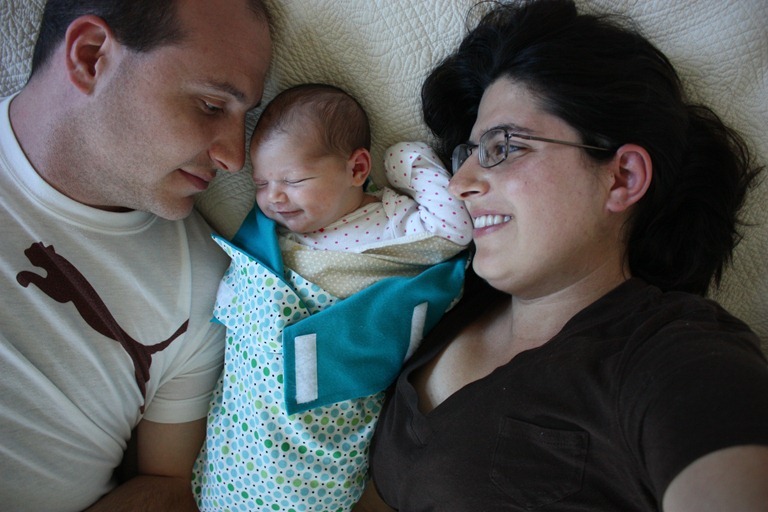 When Adele was just four days old, we were in a lactation group meeting where I could get some help on that front. It was so great sharing stories with other new moms. I am going to continue these groups for as long as I can. At the beginning, I could only thing one hour ahead. I couldn’t think about the next day or the next week. It overwhelmed me to really think in the future. I really had to live in the moment because my brain couldn’t handle anything more. My friend Robyn told me to remember that every difficult part I encounter will have a stage. 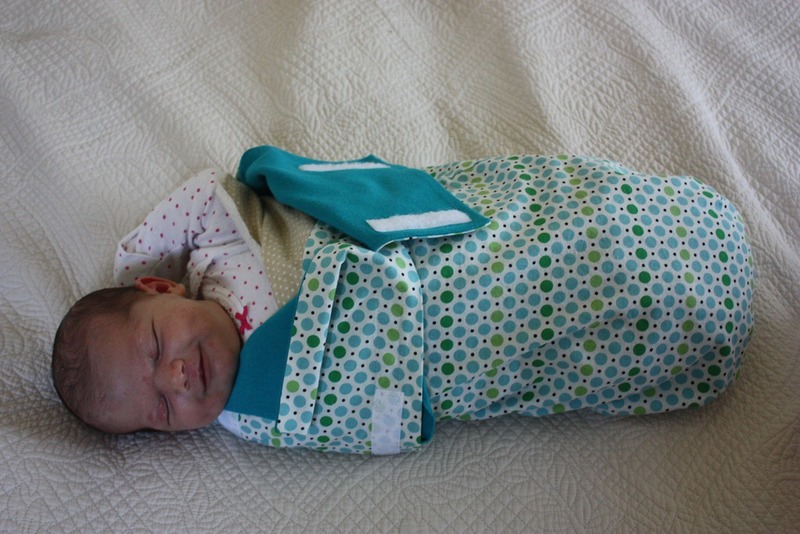 The baby isn’t going need to be swaddled when she’s 2 years old, etc. There is light at the end of the tunnel! Each challenge will inevitably pass and just become part of our story. I rely on this tip a lot. Sometimes I have moments of self-doubt where I don’t know if I’m doing something right or if I’m just too tired to think. I often give myself a pep talk before feeding Adele. I talk out-loud a lot and give myself encouraging words: “You can do this”, “You were born to be a mom”, “You’re doing everything right”, “You know what’s best for your daughter”. Even when I’m tired or frustrated, I try to fake a smile and get on with it. It works almost every time. Plus seeing those baby smiles make everything worth it after a few minutes anyways. If I try to enjoy the moment, I find that I actually DO enjoy the moment. 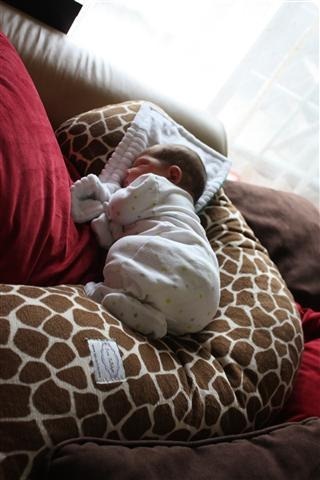 I can honestly say that the first week home with the baby was the hardest week of my life. The combination of my body changes, sheer exhaustion and the pressure of caring for a newborn left me short of breath sometimes. Now in the second week, things are leveling out. I still have my teary moments here and there, but they are getting further and further apart. She looks so smiley and happy. Adele is lucky to have you guys. Kelley! This is an AMAZING post!! I love it!! It amazes me how strong you women are after having your babies. I have had half a dozen friends have a baby in the past two weeks and it seems like you are all going through the same kinds of emotions, and finding ways to be strong and get through them. I’m sending you all my strength and happiness as you recover after having your little on and reassure you that I’m sure things will get better and easier with time. 🙂 hugs! I loved reading your story. You will truly be an amazing mama. One day at a time. Its gets easier, but time goes quickly. Jacob just graduated from kindergarten and Kristopher turned 3 yesterday!! Adele is beautiful. Appreciate every moment you share with her. That smile will make all your days brighter.